Facebook is one of the leading social networking platform in this world. If you are a blogger and wants to create a facebook fan page for your blog correctly, then you have came in right place. In this post we will learn how to create professional looking facebook fan page. A fan page helps to boost traffic and it is an easy communication system between you and your readers. Also this will present your blog as a brand and it’s a medium to advertise and marketing. How To Get Traffic From Your Facebook Fan Page? 2. Go to this page. 3. Select proper type/ category of your business. For a blogger, Artist, Band or Public Figure/ Brand or Product is suitable category. 4. After selecting category choose a sub category from drop down menu. For a blogger, Website, Author etc is suitable. 7. Enter captcha code to done. Now, like it and invite your other friends to like your blog’s fan page. 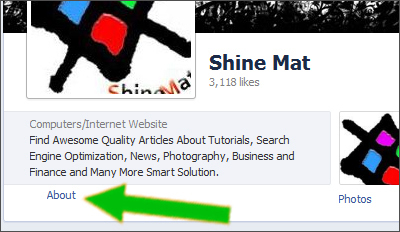 Read: How to add Facebook like button below each post automatically. Click upload photo to upload. Cover photo size is 851pxX315px. 2. Do same as in profile photo. Profile photo size is 160pxX160px. 3. Click About and edit all information about your page. Such as: About, description, basic info and contract info etc. Use rich keywords in description part to perform better in eyes of search engine robots. Don’t forget to create a custom username for your fan page. Note that your desire username must be empty to create. Otherwise try by changing some letters. 4. The following counter will show your total number of page likes. All success is here, so try to increase it as more as possible. You can hire a SMM expert to increase likes. Keep in mind, don't apply any black hat formula. 5. All other things are same as like as your personal facebook account. Such as: wall post, message, photos, notes etc. Read: How To Delete A Facebook Fan Page Permanently? Note: Without update nothing will get proper success. So always update your fan page with your blog posts with link back to your blog. If you feel bore to update fan page manually then learn how to update facebook and twitter account automatically whenever a new post is published in your blog. That’s all. If I miss something please let me know. 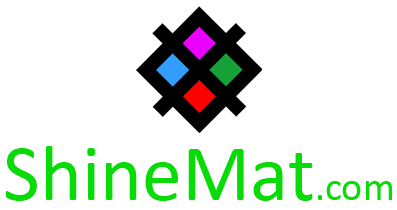 Thanks for visiting ShineMat. Good day!